เขียนเมื่อ 21 พฤษภาคม 2012 . (3.) เลือก แต่ละแถว ภายใต้ อยู่บนพื้นฐานของ มาตรา. (5.) คุณสามารถเติมค่าซ้ำหรือไม่ซ้ำด้วยสีพื้นหลังหรือสีแบบอักษรเท่าที่คุณต้องการโดยการตรวจสอบ เติมสี backcolor or เติมสีแบบอักษร ภายใต้ การประมวลผลผลลัพธ์ มาตรา. (2.) เลือก เซลล์เดี่ยว ภายใต้ อยู่บนพื้นฐานของ มาตรา. (4.) คุณสามารถเติมค่าซ้ำหรือไม่ซ้ำด้วยสีพื้นหลังหรือสีแบบอักษรเท่าที่คุณต้องการโดยการตรวจสอบ เติมสี backcolor or เติมสีแบบอักษร ภายใต้ การประมวลผลผลลัพธ์ มาตรา. 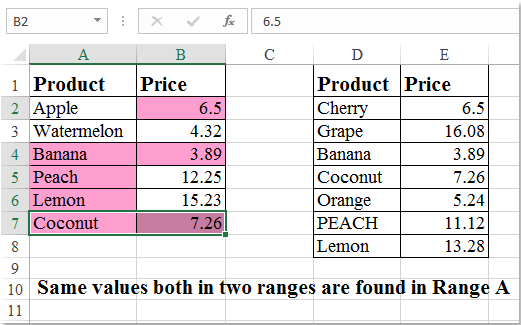 When comparing two columns where the duplicate values in further down a column it doesn't match. I need to match the 4444 with the 4444 in the first column. Is there a way to do this? From your example they need to be right next to each other. I need to count the number of times a particular person has been awarded Excellent in one column and in the next column Good etc. The person appears in the list several times so it needs to allow for more than one entry of the person. I haven't bought the product yet, want to try it out first. 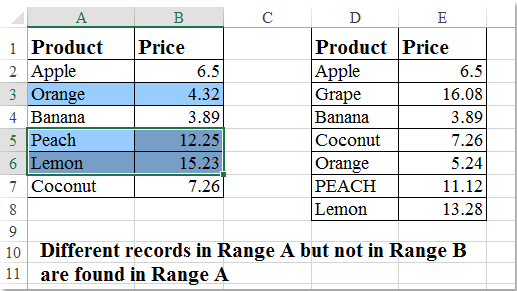 But I found that I can't use the function Compare Range, the rows are "grey" and do not come up with anything. Do I do something wrong or don't I have the correct version for test? [quote name="Susanne"]I haven't bought the product yet, want to try it out first. 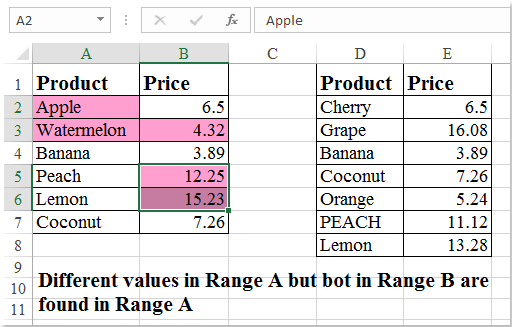 But I found that I can't use the function Compare Range, the rows are "grey" and do not come up with anything. Please try to contact me with more detailed information of your issue at jaychivo#extendoffice.com, please replace # with @. 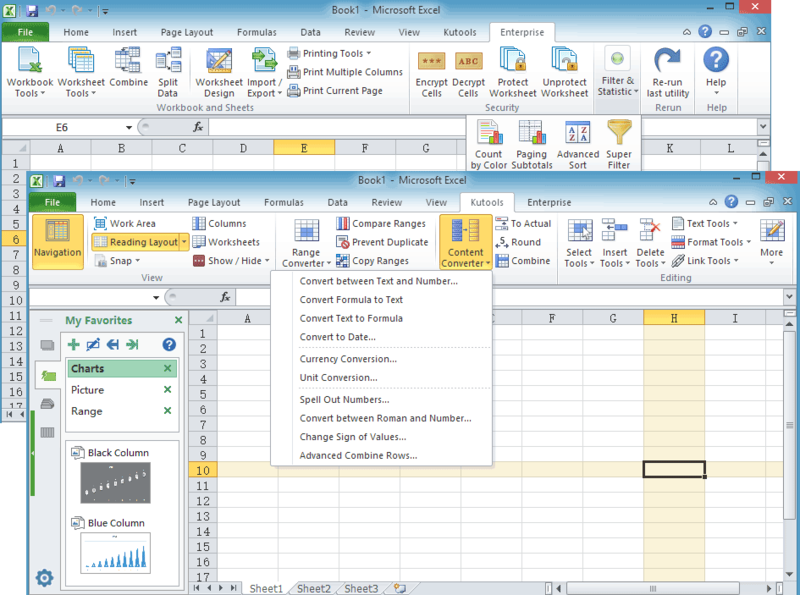 Or please try to create some sample data in new workbook and try it out. Does Kutools have a feature where duplicates from a column are removed, but also case sensitive? 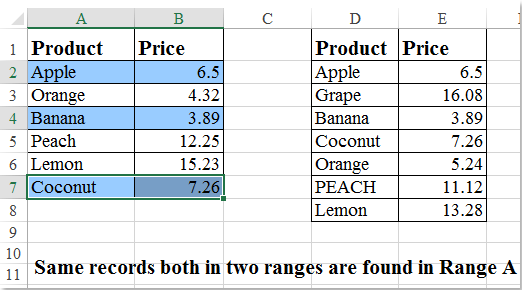 Excel has the remove duplicates feature, but isn't case sensitive. I want a feature where it only removes "dog", but not the one with the upper case. Does Kutools have such feature? 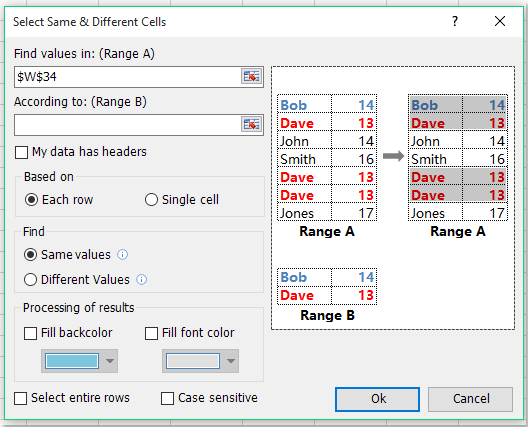 [quote name="Jenna"]Does Kutools have a feature where duplicates from a column are removed, but also case sensitive? 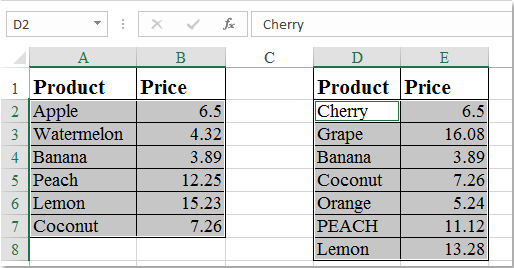 Excel has the remove duplicates feature, but isn't case sensitive.